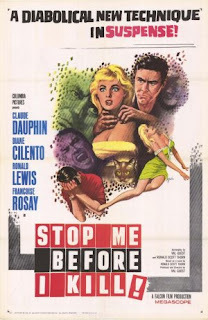 Hammer always churned out more than just horror films and this twisty psychodrama is one of their better '60s efforts. Famous racing driver has a road accent and needs to unlock what happened with the help of a weird French psychoanalyst. Overlong, but worth sticking with as the last half hour is the business.